Imagine trying to struggle between who you are and the goals you want to accomplish in life. I’d be lying if I said the journey to embracing my introversion as an online creative was easy. I’d be lying if I said I’ve always fully embraced my introversion as a person, in general. Growing up, it made me nervous to be in big crowds of people, or even small groups. I enjoyed being in my own company and sitting in my room–alone. I always thought I was just weird or antisocial. There goes that word–antisocial. People always seem to assume that introverts hate people or just simply don’t want to be around them. It wasn’t that I didn’t want to be around people, I just didn’t know what to say or do around them. This transferred from everyday life into the online space when I started my first legitimate blog. As crazy as it sounds, I had absolutely NO intentions on showing my face no matter how big this blog started to get. I had no intentions on having people even know my name. I just wanted to share my thoughts, information, and expertise with the world. I thought to myself, “It doesn’t matter, right? Who really cares about what I look like or who I am?” If I’m being completely honest, nobody did care. Until I tried to monetize. I figured I would be a coach, considering my passion to work one-on-one with others to reach their specific goals. Can you imagine how it looks to a reader when you’re basically asking them to pay you for a service and they don’t even know who they’re buying from, who they’ll be speaking to, and never be able to hear your voice or see your face? Needless to say, I got ZERO clients the entire time I tried to hide behind my computer. Why? People didn’t trust me. People don’t buy from businesses or brands, they buy from people. My business was not a person to my audience, I was just a resource for information. All it took was words to see that my expertise was valid, but actually investing money into me online? They couldn’t trust me because they didn’t know me. Read more of Roniece's story of being in introvert-preneur in ISSUE 08 (which you can download for free!). 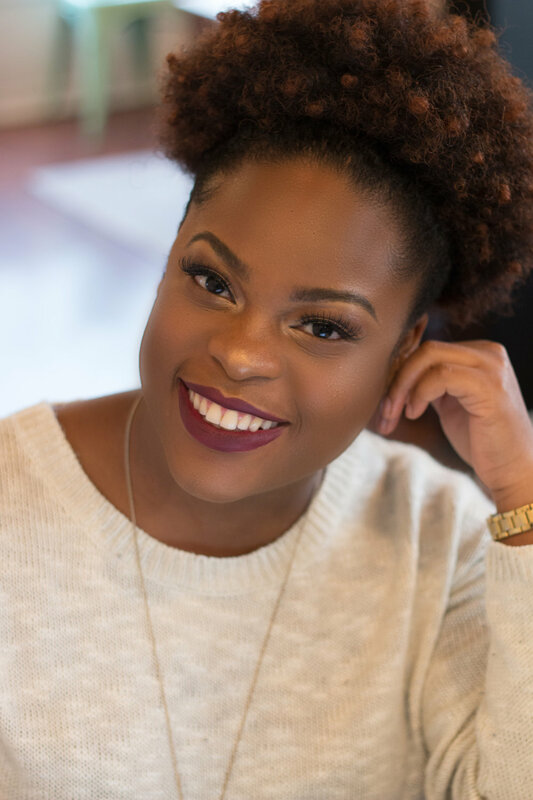 Roniece Wright is a Content Marketing Strategist and founder of TheIntrocreative.com. She focuses on teaching creative introverts to create powerful content, connect it to all the right people, and communicate in the online space. She has had the pleasure of working with an array of creatives in the online space such as authors, enthusiasts, virtual assistants, and more! Her business motto is that: You don't need to pretend to be an extrovert to have a successful online business. When she's not encouraging clients to use their introversion (not push it away) and teaching them how to uplevel their content game, you'll find her at a movie theater with a large bag of popcorn and a thriller movie!